The communal riots of Kanpur in 1931 can shed some light on the kind of secularism that India needs and the kind that Bhagat Singh would have surely envisaged. On March 24, 1931, communal riots broke out in Kanpur, when volunteers and sympathisers of Congress were enforcing a hartal call given by their party as a mark of respect in the memory of Bhagat Singh and his comrades. Singh and the others were hanged a day before in the Lahore Central Jail. Violence and counter-violence, by Hindu and Muslim mobs, left about 400 people dead and Kanpur devastated. In six days till March 30, religious places belonging to both communities were burnt, plundered and about 400 houses damaged. The riots also snuffed out the life of a fearless freedom fighter, Ganesh Shankar Vidyarthi, president of the United Province Congress Committee and a friend of Bhagat Singh’s, while he was trying to douse the flames of riots and save the lives of innocent Hindus and Muslims on March 25. 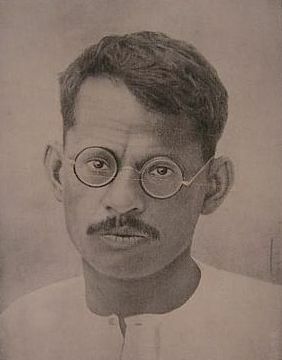 Vidyarthi was released from prison only a few days before his murder, after the Gandhi-Irwin Pact of March 5, 1931. 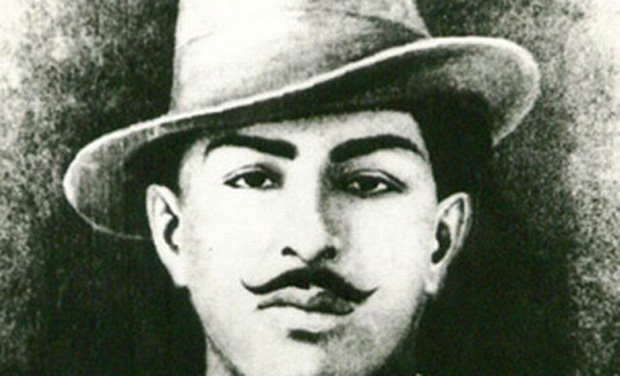 The pact did not envisage release or leniency for revolutionaries like Bhagat Singh. In his autobiography, Nehru claims that Gandhi had pleaded separately with Lord Irwin for the release of Bhagat Singh because of the presence of very strong sentiments across the country regarding his release, but without any success. While talks between Gandhi and Irwin were still in progress, Chandra Shekhar Azad, the head of the armed wing of Hindustan Socialist Republican Association of Bhagat Singh, had questioned Nehru as to what was in store for the activists of his organisation in the negotiations. But before the pact was signed, he was killed in Alfred Park, Allahabad, on February 27, 1931. Unsurprisingly, the British administration’s response to the riots in Kanpur was outright callous, with the police and magistracy giving the rioters a free rein. It only cemented the colonial narrative that communal problems were endemic to India and that the British were needed to maintain peace. Explaining the reasons for the communal tension, Chitra Joshi, in her paper ‘Bonds of community, ties of religion: Kanpur textile workers in the early twentieth century’, claims that in the late 1920s, the revivalist activities of both Hindu and Muslim communal organisations began to grow in Kanpur. The Arya Samaj in Kanpur carried on “shuddhi” with greater zeal, while those who found it lacking in sufficient fervour started the Katha Mandal, which tried to organise Hindus for self-defence and carried on conversion activities. Muslims, on the other hand, formed an organisation called the Tabligh-ul-Islam. Instead of being places for simple religious gatherings, these became forums where communal leaders derided other religions. The involvement of several leading local congressmen in the activities of the Arya Samaj and the Hindu Sabha created a pro-Hindu perception of the Congress among Muslims. 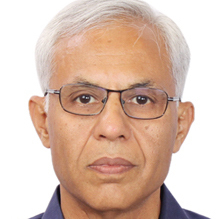 A note of dissent appended to the Congress Committee report on the riots by Zafarul Mulk, reveals that the general belief was that the Congress members, who were truly secular, constituted a microscopic minority. This was reflected in the functioning of the local municipality elected on the basis of separate electorates – a result of divide and rule policy of British. The one exception everyone, across the communities, accepted was Ganesh Shankar Vidyarthi. Analysing the reasons for the communal riots in Kanpur clearly reveals that the mere overt association of public figures with religious activities undermines their secular credentials amongst people from other communities. Analysing the reasons for the communal riots in Kanpur clearly reveals that the mere overt association of public figures with religious activities undermines their secular credentials amongst people from other communities. Not a single person questioned Vidyarthi’s secular credentials because of his past conduct in Kanpur, his philosophy and his association with Bhagat Singh. It is therefore worth questioning why, even after more than 70 years of independence and the end of the British policy of divide and rule, is India so polarised? No one seems to be happy. Majority and minority communities both feel dissatisfied. The brand of secularism practiced by public figures, in and outside the government, has not instilled confidence in the concept among the masses. That can only mean change is required. In a country where 97% of the people are religious and some of them make a public display of the same, a far more robust variety of secularism is required – in theory and in practice. A united India and secularism based on pushing religion entirely into the private space, more so for public figures, would be the real tribute to the memory of Bhagat Singh and Vidyarthi on their death anniversaries.